Russell lived to the age of 97. Enjoy this collection of Bertrand Russell quotes and share the wisdom that he gained through a long, often turbulent, and productive life. Bertrand Russell 1872 - 1970, was a philosopher, mathematician and logician known for his outspoken opinions and activism. Russell was actually imprisoned twice by the British government for his anti-war activities. Aside from that, his contributions to the philosophy of mathematics and logic established him as one of the most respected philosophers of the 20th century. 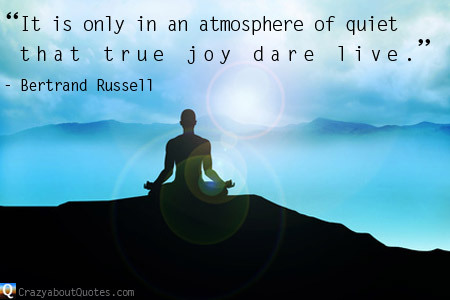 Russell wrote prolifically throughout his life and won the Nobel Prize for Literature in 1950. 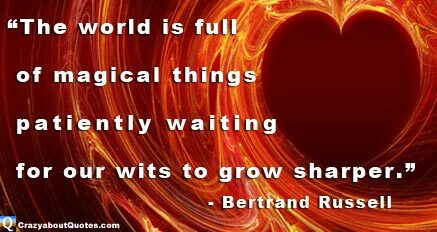 Bertrand Russell died aged 97 after a long, often turbulent, productive, thoughtful and active life. I really hope you'll enjoy this collection of his best quotes. "The time you enjoy wasting is not wasted." inspired by love and guided by knowledge." be as far as possible friendly rather than hostile." is an indispensable part of happiness." on the things you have long taken for granted." to intelligence and freedom of thought." and unbearable pity for the suffering of mankind."